On a recent Saturday evening, I spent a little time watching the Invicta watch show on an HSN cable channel. Some of the watches were a little too flashy and heavy for my tastes. But, I appreciate the Invicta brand for bringing fine watches to middle class folks at attainable price points. Ordinarily I'm not a big fan of Asian-sourced products, but Asian goods make up most of my watch collection. I know it doesn't make sense. It's hypocritical. But, honestly, I think I'd only have one watch if Asian markets weren't providing nice, but inexpensive, goods. I'd almost feel bad. 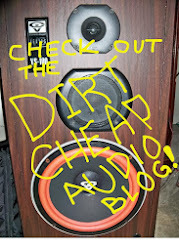 But, then I hear that some Swiss makers buy back their slow selling models rather than let them make their way to secondary ("gray market") outlets like TJ Maxx. Marshalls, Ross, and even Costco. These watch manufacturers would rather destroy a perfectly good watch than see it reach a price point that we can afford. You see some pretty good deals on HSN for Invicta watches. However, Amazon has a great selection of Invicta watches as well. For example, the Invicta watch show featured the Invicta Subaqua Watches and there are plenty on Amazon. If you grew up in the seventies, you probably remember seeing great adventurers like Jacques Cousteau on the back covers of National Geographic Magazines extolling the virtues of Rolex watches. But, if you wear $60 watches, your adventures tend to be a little less impressive. 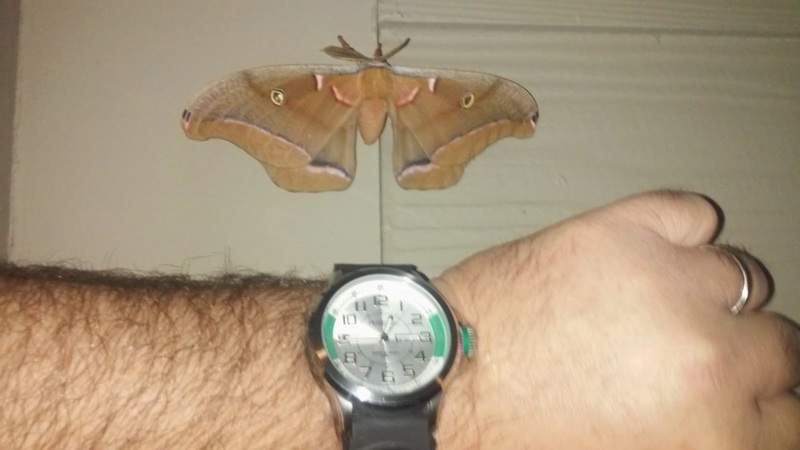 Nevertheless, I discovered the largest moth I've ever seen a couple of weeks ago while wearing my favorite Armitron timepiece. This moth wasn't at the bottom of the sea or on the top of Mt. Everest. But, it was alarmingly close to our front door. I dub it the Mega Moth! Marc Ecko is one of America's most gifted designers. He demonstrated a flair for design with a modern hip-hop, skate rat, urban sensibility while he was enrolled in the pharmacy school of Rutgers University. His mentors there suggested he take a year off to pursue his passion. He started with graffiti-inspired art t-shirts and has grown into an amazing success as a fashion designer, artist, and philanthropist. Of course, I didn't know any of this when I found a Rhino by Marc Ecko watch at Kohl's for about $60. If you name a watch after one of the world's toughest animals, you are making a bold statement. The Marc Ecko Unltd. brand uses the Rhino as a trademark symbol for its Rhino by Marc Ecko line of watches. The designer was actually inspired by the need to support the Rhinoceros-one of Africa's most endangered species. 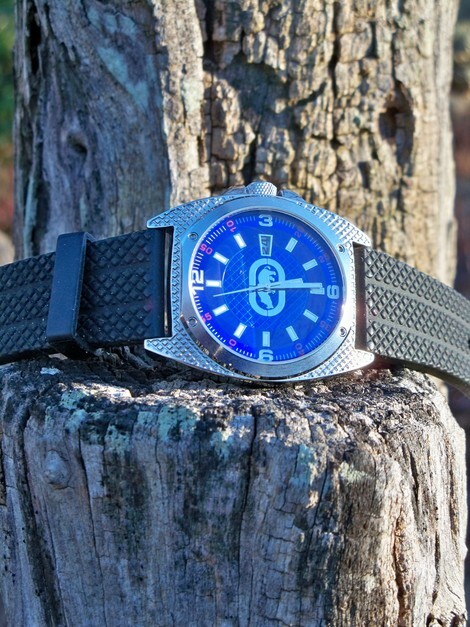 My Marc Ecko Rhino watch is a rugged looking men's casual watch. 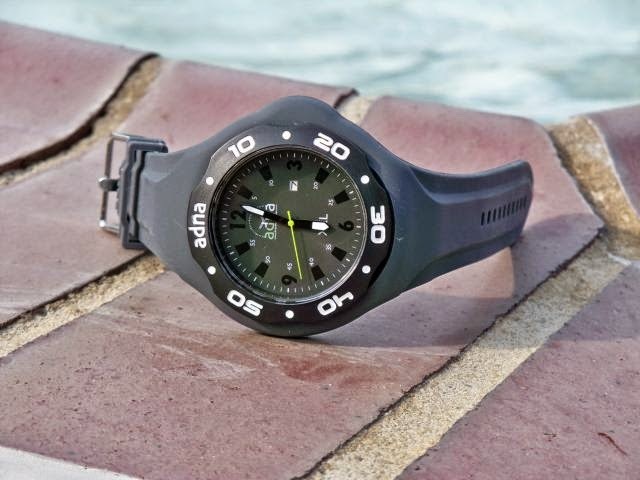 While many watches are engineered for extreme conditions, the Rhino is a fashion statement that is really about achieving a rugged look in an affordable package. Watch Design. The rugged rhino look is achieved through a cross-hatched pattern that is repeated as a styling theme throughout the design. The rubber strap is about 24 millimeters wide and is encircled by three bands of raised cross hatch design. The cross hatching is repeated on the top of the watch case. It's reminiscent of the shiny chrome pattern that you might see on the truck-bed toolbox on a working man's pickup truck. The cross hatch pattern is repeated around the center of the rich blue dial. The center itself is occupied by the shiny chrome silhouette of a rhinoceros. It it outlined by a chrome oval with a cross-hair motif. The overall effect is just plain tough. Watch Size. You might expect to a Rhino watch to be a behemoth. However, it is reasonably sized with a 38mm diameter dial, overall case width of 44mm, and a thickness of about 10mm. With a fairly thin profile, this Rhino can easily be concealed beneath the cuff of a long-sleeved dress shirt. Construction. While a young designer may not know a lot about the internals of a wristwatch, Timex does and Timex is the maker of the Marc Ecko watch brand. It's a good union because these watches have a young sensibility and Timex excels at making affordable watches. My Marc Ecko watch has a reliable Japanese quartz movement. The Rhino by Marc Ecko has a stainless steel back and a base metal case. The strap is made of a supple rubber or silicone material. 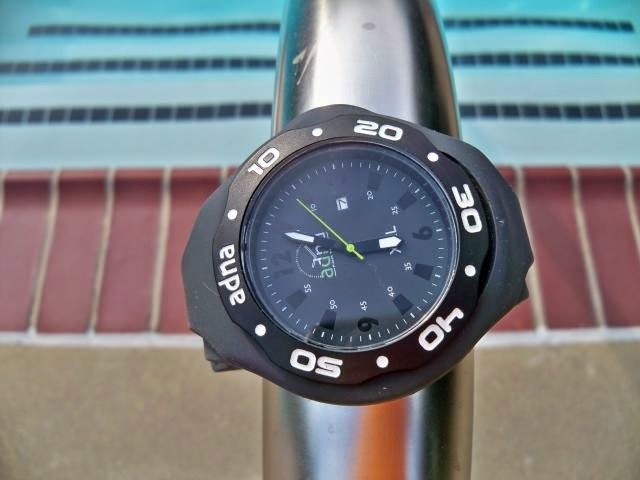 The watch is water resistant to 30 meters. Overall. 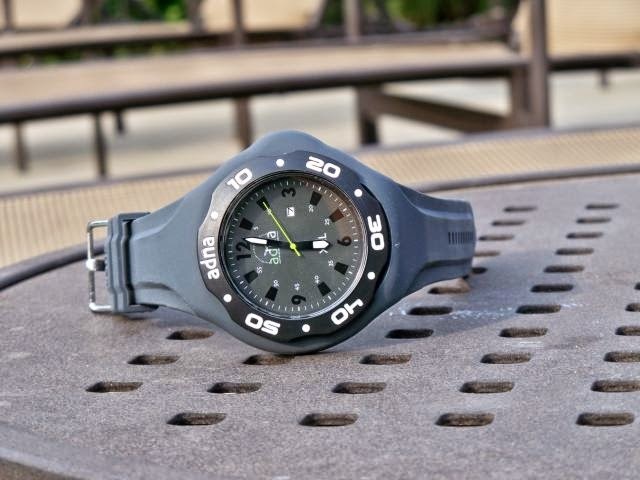 The Rhino by Marc Ecko delivers a lot of interesting watch designs at affordable prices. 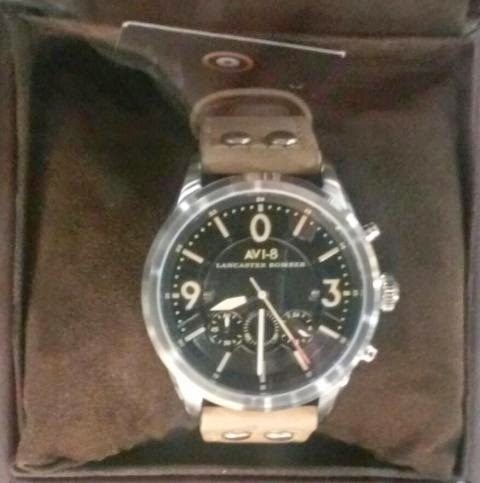 I found my Rhino watch to be a fresh, masculine, designer look in a practical and affordable quartz package.